Looking to assert your freedom? Trying to break from what confines you for greater independence? 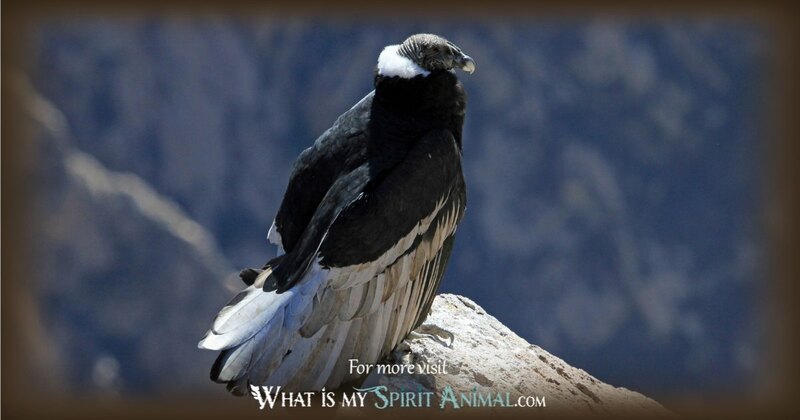 Condor as a Spirit, Totem, and Power Animal can help! can help! Condor teaches you how to establish boundaries and how to escape the chains tethering you to old patterns of behavior. 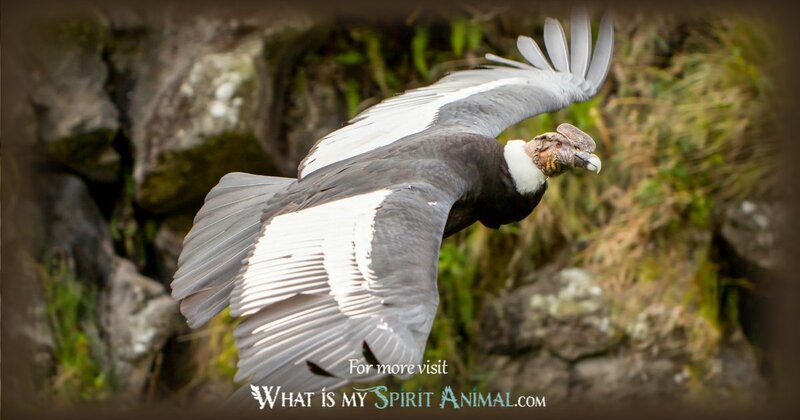 Delve deeply in Condor symbolism and meaning to find out how this animal spirit guide can enliven, embolden, and energize you! Peruvians connect the Condor with the heavenly Thunderbird. This correlation has much to do with Condor’s expansive wingspan which is larger than any other bird of prey, measuring around nine feet. Watching this bird fly on the highest winds is nothing short of awe-inspiring. So, it’s not surprising to find that Condor Symbolism and meaning ties together with inspiration and creativity. In nature, Condors are born with their eyes wide open. 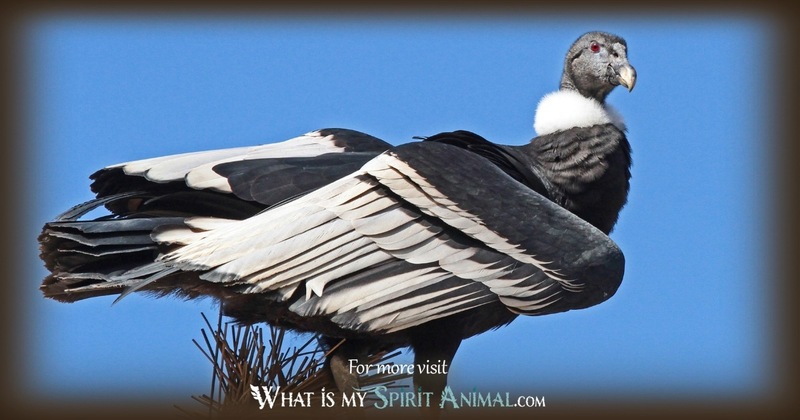 As a watcher, Condor Spirit looks to see things in various ways. By so doing, Condor awakens our awareness and reasoning abilities. Condor reminds us that the Divine abides within. All you need do is remain open and prayerful. The grand scheme of the world and even the universe is but a prayer away. Like many birds of prey, Condors are the ultimate helpmates in Nature’s recycling system. They clean up carrion, which is vital to the overall health of ecologies. Here, Condor represents not only our connection to nature, but also our responsibility to use the gift of this world wisely. Condors are a very ancient creature. Science tells us they lived side-by-side with saber tooth tigers; that evokes powerful imagery. Any Animal Spirit so long lived has many stories to tell and mysteries to reveal. Incas felt that the Condor carried our prayers to the gods and returned with answers. Living on hard mountain rocks, Condors mate for life. When babies come, both partners share in the responsibility to incubate and feed the chicks. This is a lovely emblem of equality in relationships as well as devotion and fidelity. When Condors meet a strong wind, they are not deterred. A Condor’s wings face those airstreams with confidence; his creature’s mastery of the Element of Air provides more symbolic value. Air cannot be seen. It is free and unpredictable. As the wind changes, so goes life. If you want to know where the winds blow, ask Condor spirit. People throughout the Amazonian basin respect Condor as one who communicates with spirits. He represents the soul’s progression toward spiritual ascension through the lessons of many lives. Condor masters the weather bestows wisdom and vision and inspires the psychic art of prophecy. When Condor begins flying into your life, he may be bearing an important message from the Ancestors, the Divine, or a deceased loved one. It is an important missive. Condor does not do this lightly as transporting such information is a sacred task. Condor may also represent a new, creative phase in your life when the seeds sewn in your spirit begin blossoming and yielding fruit. Moving forward may, however, require relinquishing something that holds you back — be it negativity, self-doubt or bad habits. Prepare yourself for Condor’s challenge. You are ready for this! Condor is a simple “house cleaner” while also being a master of the sky; this is a powerful message from Condor of “as above, so below.” Is your literal or figurative house in order? Are you balancing your spiritual life with the mundane? Work with play? Meditate on these things. In any case, now is the time to clean up, organize, reflect and purify body, mind, and spirit equally. Pay particular attention to anything that adversely affects your health. Sometimes Condor comes to seekers as a protective ally; this is especially true of the magical student. The path to mastery is often filled with hidden risks. Condor helps us navigate them successfully. Another message from Condor is isolation. They prefer living far away from humans in ancient mountainsides. Perhaps it is time for your own retreat, time to figure out how to overcome your obstacles. Silence is very healing, and it gives you a chance to really hear your Higher Self. Besides these possibilities, there are other reasons that Condor may be calling you. Consider if you aren’t keeping both feet on the ground or focusing too much on “bad” stuff. Have you taken time to commune with Spirit lately? Are you remaining an active co-creator in your life? Those are questions that Condor may ask you. If you have been born with a Condor Totem, you probably spend a lot of time alone where you can think and journal. You understand your role in this world, and then some. The peak of your strength and creativity comes from Condor Medicine, and you find that nature renews your spirit. In their youth, Condor Children feel uncertain about their aptitudes. As they grow; however, their minds develop quickly. As an adult, you make a very wise leader who guides others safely through personal transitions. Your life will always be one of cycles. Something starts, something builds, something ends, and then you let it go to start all over again. While this sounds frustrating, every cycle changes you dynamically. Those transformations inspire your keen mind to even greater perspectives. Condor people do not waste their time or energy. His nature is to work WITH the winds and let those glorious breezes take him ever higher. In human terms, you know the means to an end. 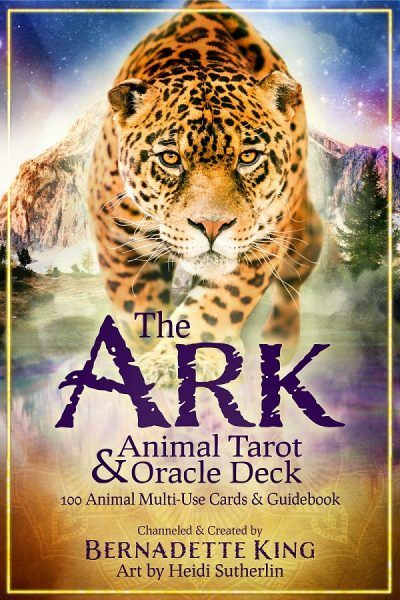 You also have the ability to tap into spiritual aptitudes like prophecy and natural medicine. Yours is the path of personal evolution for the greatest good, while also honoring your limitations. There are many good reasons for seeking out Condor spirit. When your daily life becomes a whirlwind of drama, doubt and frustration – Condor can lift you out of that rut. Once flying high with Condor, you can see clearly again. Let Condor teach you to prioritize. Ask yourself, “What is truly most important here and now? Additionally, Condor provides you with the flexibility and grace to change. You must be open to the transitions Spirit brings for you. Speak your prayers to Condor and let him wing them surely to the Divine with all due haste. People who are having trouble with commitment can work with Condor energies for strength and assurance; this is particularly true for couples. Love often comes with fear and uncertainty. Condor helps you see what is true and what is a fairy tale. Seek the truth; find life-long love. Other key energies that Condor Spirit can assist with includes parenting, devotion, unity, virility, safety, and possibilities. Various Native American tribes consider Condor sacred. The majority of stories and Condor Medicine hale from California and South America. The Wiyot call Condor an ancestor, while other Californian tribes honor him as a healer. 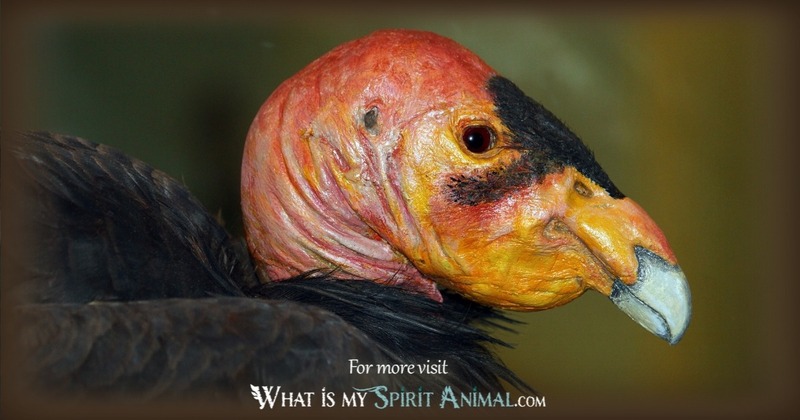 This is why the Shaman/Healer of a tribe wears Condor feathers during healing rituals. This is also why many Californian tribes have Condor dance traditions. South Americans see Condor as a powerful sky spirit. Among the Mapuche, the Condor presides over the four elements and directions. Here Condor embodies kindness, fairness, and wisdom. In the Andes region, people connect Condor with the Sun God who represents health and power. There is a Native American prophecy that says when the Condor and Eagle fly together again, it brings renewed peace to the earth. The world will heal, and all things live in harmony. In areas like Tibet and Iran, there was a custom of leaving the dead for the Condors. This was called a sky burial. It was a very honorable tradition since Condor brings renewal. Egyptians considered Condor a symbol of protection and nurturing; this is why depictions of Nekhbet (the Goddess of birth) often include Condors. Another mother goddess, Mut, has Condor as a personal familiar. Greco-Roman legend tells us that Saturn, the god of justice and strength, rode on a Condor. The sun God Apollo (God of the Sun and Oracles) also considered it sacred. Condors flying away from you in a dream represents the end to some type of argument or losses. Seeing numerous Condors in your dream means that people are spreading rumors or gossip about you maliciously. Similarly, hearing a Condor’s call implies that some old skeleton in your closet is about to be revealed. Circling Condors typically suggest endings, but not necessarily bad ones. Rather, it marks the start of a new cycle or activity. AMAXING! I cried reading it. It has such a powerful message.